The arc of coast betwixt Saltburn and Filey was once dotted with Roman signal stations, built in the second half of the 4th century to warn of the threat of foreign invasion from the continent. Perhaps the best known of these was the site atop the heights of Hunt Cliff a little to the east of Saltburn. Identified for what it was in 1862 and first excavated in 1911-12, it has since tumbled into the North Sea – leaving only a few artefacts to tell the story of its all-too-brief existence. Enough of it remained in 1911-12 to estimate its size at around 105ft x 105ft square, it being of rough sandstone construction with, likely, a wooden look-out tower at its centre. Coinage indicated that it was probably in use around 360-400 AD, before being abandoned by the Romans as they deserted our shores. What is most remarkable about the site, however, was the discovery (in 1923) in the site’s well of fourteen human skeletons of varying age and size, many of which bore weapon marks. The individuals were certainly not soldiers, and this has led to the conclusion that the final occupants of the old signal station – most likely a group of Romanised British refugees who took over the site after the Romans left – were butchered in a rival attack of some sort. There is every reason to suspect that it was the Anglo-Saxon invaders themselves who destroyed the site and slaughtered the occupants as they made their tentative in-roads into their new land at some point in the mid 400s AD. 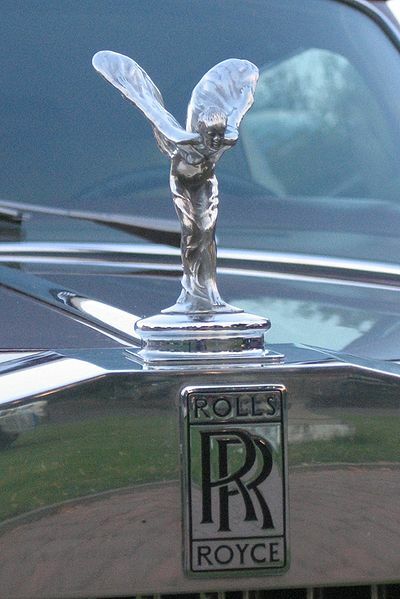 The ‘Spirit of Ecstasy’, aka ‘Emily’, ‘Silver Lady’ or ‘Flying Lady’, is the official name of the hood ornament of the Rolls-Royce motor car. And it was designed by sculptor Charles Robinson Sykes, a native of Brotton. Sykes (1875-1950) was a friend of the very famous Lord Montagu of Beaulieu, the great pioneer of the early automobile movement. When, in 1909, Lord Montagu was looking for a nice finishing personal touch to his Rolls-Royce Silver Ghost, he asked our man to come up with a design. Sykes produced ‘The Whisper’: a figurine of a woman in fluttering robes with her fingers pressed against her lips – a reference to (and modelled on) Montagu’s secret lover at the time, Eleanor Velasco Thornton, whom his Lordship was precluded from marrying on account of her lowly social standing (an affair which continued long after his ‘society wedding’ to Lady Cecil Victoria Constance). When Rolls Royce finally officially latched on to the idea of mascots a year or so later, they turned to the same man for a new design for their cars which conveyed “the spirit of the Rolls-Royce, namely, speed with silence, absence of vibration, the mysterious harnessing of great energy and a beautiful living organism of superb grace...”. The result was the appearance, in 1911, of ‘The Spirit of Ecstasy’ – suitably adorned with Sykes’ signature on the plinth. He was again commissioned by the firm in the 1930s, in fact, to design a lower version of the ‘The Spirit’ for their sports models. Much of what follows is sketchy. Rumour based on hearsay, with a little bit of tittle-tattle thrown in for good measure. Good fun all-the-same, though. Teddy’s Nook is the name of a private house which sits on what you might call the ‘main bank’ of Saltburn-by-the-Sea. Its construction dates back to the very earliest days of the town, when, in 1862, Henry Pease MP built and moved into the property – indeed Pease was pretty much responsible for founding the modern-day town as a whole. It was originally intended to build several of these mini-mansions, but only the one was ever completed – and was modestly named ‘The Cottage’. One might think that a house with a former occupant of Pease’s standing was quite enough history for any private residence – but no. For in its relatively short existence, The Cottage has played host to many a celebrity – some, perhaps, imagined. German spies are the next little anecdote. Apparently, enemy operatives sent out signals to ships at sea from the house during WWII. Then there was the Kelly family, who were often visited by their cousin, the late Jimmy Savile. Does anyone remember him padding Saltburn’s streets during his morning runs? As if that wasn’t enough, ‘Teddy’s Nook’ was also once the family home of Audrey Collins MBE, a formidable figure who served as the town’s mayor and chair of the South Tees Health Authority. If anyone has any further information, rumours or, er, tittle-tattle, then do get in touch. 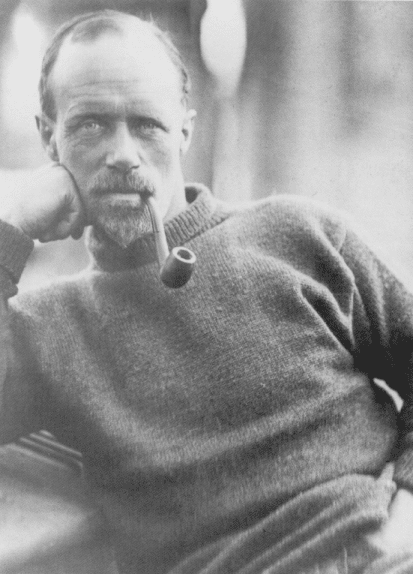 Frank Wild, the great Antarctic explorer and colleague of the famous Ernest Shackleton, was born in Skelton-in-Cleveland on 10th April 1873. He made five visits to the great southern continent, and was one of only two men to be awarded the Polar Medal with four bars. Reputedly related to Captain James Cook through his mother, Frank was the eldest of eleven children born to Benjamin and Mary. He was born at 131 High Street, Skelton, and may have lived briefly, too, in Skelton Green, before heading off down south with his family in 1875 aged 2. He moved several times thereafter before embarking upon his extraordinary career at sea at 16. Serving briefly under the doomed Captain Scott, he soon joined rival explorer Shackleton under whom he served most famously as second-in-command on the curtailed Endurance trip of 1914-16. Wild was the man left in charge of the men on Elephant Island when Shackleton made the epic journey to safety across sea and land, returning to rescue Wild and his men several months later. In 1922, Wild took command of Shackleton’s expedition to the South Pole when the great man died on the day of arrival at South Georgia. Afterwards, Wild moved to South Africa, where he saw out his days via two marriages and several largely doomed business ventures and jobs. He died in 1939 and was cremated. As recently as November 2011, his ashes were interred next to Shackleton’s grave on South Georgia after having been found in a cemetery building in Johannesburg by historian Angie Butler. Crazy Castle was the common name for old Skelton Castle, the edifice which predated the current structure of this name a little to the north-west of the town of Skelton-in-Cleveland. The above etching seems to be the only surviving image of this mysterious place – itself a rather fanciful (and possibly inaccurate) attempt at recording its image for posterity. It probably acquired its nickname due to its ramshackle look as it fell into disrepair in its final years. The land thereabouts was granted to the de Brus (Bruce) family in the years after the Norman Conquest, and a castle was soon built. Added to and altered many times over the years, and passing between various families, it seems to have spent much of 14th-18th centuries slowly disintegrating, until it was unceremoniously flattened in 1788. The village of Upleatham in the old North Riding of Yorkshire did an odd thing in the 17th century: it moved for no apparent reason. Well, there must have been a reason, I suppose, but no one seems to remember what it was. 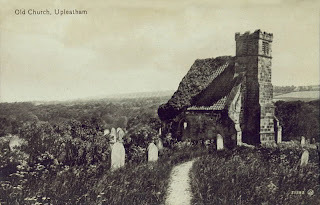 And by moving a few yards up the hill to its current location, it left behind its old place of worship, which still sits, marooned almost in the middle of nowhere, a little to the south-east of the present-day clutch of houses. Despite this shift in the nucleus of the village, the old church of St.Andrew’s continued to serve it purpose for another 150 years. The village’s new church, built in the 1830s, eventually came to serve the locals, leaving the old edifice literally out on a limb. 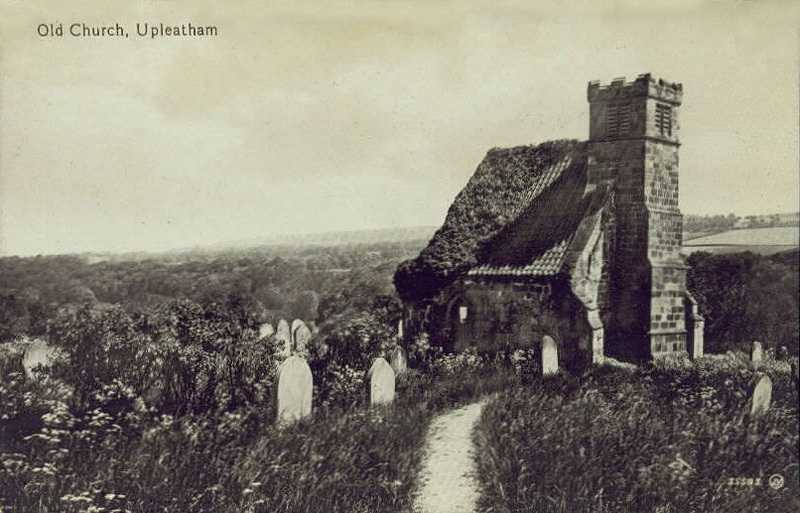 As early as 1822 the decision had been made to dismantle the original church, but until the new one was finished it limped on – though they demolished as much as they could, leaving the tower and a small section of nave for essential services. When the services stopped, it was left standing for use as a cemetery chapel. And I guess they just never got round to finishing the job – of demolition, that is. Which is nice, really, as there is evidence of a church having been on the site since at least the 9th century. But can half a church count as ‘the smallest church in England’? I don’t see why not. As it happens, the ‘new’ village was soon to suffer destruction, too, during 1890-1905 when subsidence caused by ironstone mining necessitated the demolition of more than half the buildings. What an odd history Upleatham has. Image taken from the ‘Photos of Churches’ website. And more ramblings – and some detailed measurements of the competing ‘smallest churches’ – can be found here. 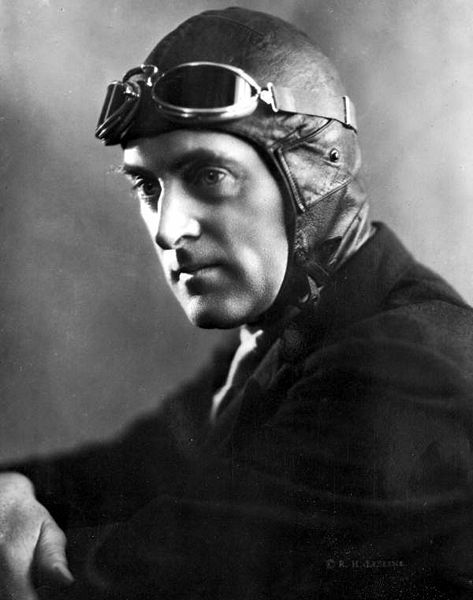 On 17th June 1922, the great speedster, Malcolm Campbell, made his very first attempt on the land speed record here in the North-East of England. On the day in question he spent his time running up and down Saltburn and Marske Sands, at speeds at which no man on the planet had previously attained. At the time, Campbell, despite his need for speed, didn’t actually own a car fit enough to get anywhere near the record, so he hit upon the idea of borrowing the vehicle which currently held the fastest mark and took it for a spin on the beach near Saltburn during the Yorkshire Automobile Club’s meeting on the day in question. The five-mile stretch of unbroken flat sand proved to be ideal, and after a number of runs our man posted 138.08mph – a good 4mph better than the existing record. The powers-that-be refused to ratify the times, however, due to the fact that handheld stopwatches had been used instead of the officially-recognised electronic clocks. Campbell eventually bought the car in question – a Sunbeam – renamed it Blue Bird, and had another pop at the record in Denmark the following year. He beat it again, but once more failed to have it officially recognised. 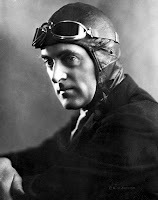 Campbell eventually broke the land speed record officially for the first time in 1924 at Pendine Sands near Carmarthen Bay. The Pennyman family were big players in seventeenth century Cleveland. 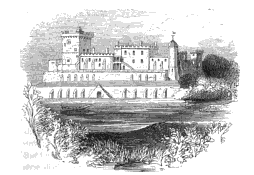 In 1625, they raised the fine pile that is Marske Hall and, in 1632, a certain Sir James Pennyman became Lord of the Manor. As family tradition dictated, James was a staunch Royalist, so successfully chose the wrong side in the English Civil War. Keen to do his bit, though, at a time in the dispute when the outcome was in the balance, he created a little private army of his own made up of tenants from his estate. And, in 1643, this band of brothers was called into action in the little-known ‘Battle of Marske Beach’. It seems that Cromwell, keen to gain a foothold in this part of the world, tried to land a party of men on the seafront near to the village … and was successfully repelled by Sir James and his army. When he eventually ‘surrendered’, he was punished for his delinquency and fined £1,200 in 1646. It is thought that it was this financial ‘hit’ which forced him to sell his estate to the Lowthers in 1650. Sir James made his comeback, though: he was elevated to the Baronetage after the Restoration and died – vindicated, presumably – in 1679. Charlotte Marion Hughes, née Milburn, was the oldest documented person ever to have lived in the UK. When she died on 17th March 1993, she was 115 years 228 days old. And she lived all but the last couple of years of her long life in Marske-by-the-Sea. Charlotte was born on 1st August 1877 – the very same day upon which Alexander Graham Bell founded his first telephone company. She was a schoolteacher all her working life, after which she married her husband, Noel, at the age of 63 (who himself lived to the age of 103). She famously met Prime Minister Margaret Thatcher in 1985, whom she rebuked for trying to cuddle up to her. Charlotte was a Labour supporter! On her 110th birthday she flew to New York aboard Concorde, and enjoyed a plush, all-expenses paid stay in America. She claimed the national longevity record in 1992, by which time she had moved to St.David’s Nursing Home in nearby Redcar. Though she resorted to a wheelchair in her latter years, she remained mentally sharp until the end. She was the third person in world history to officially reach 115, though she has since slipped outside the top ten of all-time oldies worldwide and currently lies in 12th place. But she is still the British No.1.